Twenty-five years ago, the Southern wonder left his Heartbreakers to much acclaim. 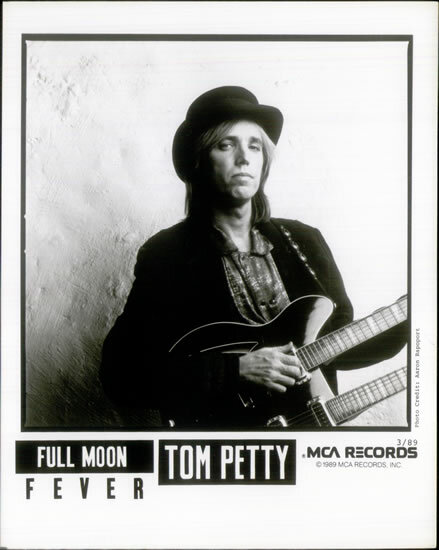 Today marks the 25th anniversary of Full Moon Fever, Tom Petty’s critically acclaimed debut solo album. To celebrate, Editor-in-Chief Michael Roffman heads back to 1989, revisits the album’s many singles, and what this album says about Petty as a whole. Let’s talk about “Zombie Zoo” for a second. The closing track to Tom Petty’s brilliant solo debut, Full Moon Fever, is such a confusing, dated tune that it’s a wonder it ever made its way into the studio let alone ended up the closing track of such a monumental album. With vocal support by legendary crooner and fellow Wilburys bandmate Roy Orbison, Petty spends a cringe-worthy three minutes lambasting some poor punk rocker with a few of his worst lyrics to date. “Hey little freak with the lunch pail purse/ Underneath the paint you’re just a little girl,” he sings in the first verse, later comparing her to “Boris Karloff” and even mixing up the mythology of zombies with vampires when he says she “disappears at sunrise” and returns when the “night comes fallin’.” What’s worse, the track’s boisterous instrumentation smacks the face like a pale imitation of Springsteen’s “Glory Days”, only the cheese is expired and begging to be tossed aside. “Painted in a corner and all you wanna do is dance down at the Zombie Zoo,” he says again and again, an unnecessary send-off to what was a phenomenal preceding 36 minutes. One takeaway from “Zombie Zoo” is how casual Petty sprints from absolute perfection to downright absurdity. But maybe that’s a part of his charm. From the get-go, he’s always been the boy next door, a Florida son who had some relatable stories to jive to, and that’s likely why Americans of all ages can sing most of his hits. “Zombie Zoo” doesn’t pull from any of that, though. The clownish track captures the rebellious critic inside Petty, admittedly the same persona that successfully chopped off chip-on-my-shoulder anthems like “You Got Lucky”, “Refugee”, and “I Need to Know”. Lyrically, Petty’s still biting on “Zombie Zoo”, but it’s such a juxtaposition from the rest of the album, and what’s worse, it reveals he’s no longer the boy but a grumpy old man. He proves this by talking down to the fictional girl towards the end, adding: “You can make a big impression or go through life unseen/ You might wind up restricted and over seventeen.” He sounds more like a father than a weathered songwriter, but perhaps that’s point. In 1989, Petty was hardly the Southern boy anymore. He was 39 years old and touring with the likes of The Replacements, an odd mix as proven by several bootlegs of the Minneapolis brat pack around that time. Petty’s previous Heartbreakers release — 1987’s Let Me Up (I’ve Had Enough) — was awash in ’80s tones, a far cry from the heartland rock that was once his bread and butter. What’s also telling is how he spent all of 1988 with aging veterans like Bob Dylan, George Harrison, Jeff Lynne, and the aforementioned Orbison via the Traveling Wilburys. So, if the guy was feeling a little transitional, there was plenty of reason for it. That’s not to say Full Moon Fever is an album spawned from any sort of mid-life crisis — though, I’m not exactly denying it, either — but rather an examination on what he’s accomplished, who he is, and where he’s going. In some respects, the album’s an autobiographical journey, twisting aural roads that lead in and out of Petty’s straggly brain. And it all starts with “Free Fallin'”. What “Free Fallin'” does is take listeners back to Petty’s young psyche. He relates a story about ditching a girl for a life of escapism, which may or may not lead to anything, concluding “I wanna free fall, out into nothin’/ Gonna leave this, world for awhile.” This sets up the tone for the remainder of the record, which is actually pretty genius of the guy. From there, he races straight into his next power single, “I Won’t Back Down”, a loner’s theme stocked with rugged determination that parallels his early hunger and frustrations as a budding songwriter. From there, he discusses his emotional roadblocks in “Love Is a Long Road” (“There was a girl I knew/ She said she cared about me/ She tried to make my world/ The way she thought it should be”), his blurry, cyclical lifestyle in “A Face in the Crowd” (“Out in the street walking around/ A face in the crowd”), and the stretched legs feeling of nearing success in “Runnin’ Down a Dream” (“There’s something good waitin’ down this road/ I’m pickin’ up whatever’s mine”). Even at a rough glance, the first half of Full Moon Fever reads like a traveler’s ledger, as if we are also taking this journey alongside Petty. And the album’s rather explicit in its two sides. In fact, for the CD version, Petty even added a humorous interlude following “…Dream” that instructed listeners to turn to Side B. So, it’s likely that he intended for the album to carry out a story of sorts, and the second half supports this idea. While not as punchy and driven as Side A, the songs shift from the highway to the infinite confines of an evolving relationship. His cover of The Byrds’ “I’ll Feel a Whole Lot Better” tips off this deeper introspection, segueing straight into the torturous decisions of marriage in “Yer So Bad” and the irregularities of a tenured love in “Depending on You”. Maybe it’s just intelligent sequencing, but Petty shifts the tone once again, keeping the themes on the same floor plan, only digging deeper into his life’s choices. It’s here where listeners get a better glimpse of Petty circa 1989. “I used to live in a two-room apartment/ Neighbors knocking on my wall/ Times were hard, I don’t wanna knock it/ I don’t miss it much at all,” he contemplates on “The Apartment Song”. Next track, “Alright for Now”, seemingly picks up later that night as he’s tucking his love into bed, while the following cut finds him alone with his thoughts, hence the title, “A Mind with a Heart of Its Own”. These are sobering tracks, the tail end of a long stroll through the past, which is what Full Moon Fever comes to represent. Although the majority of the album was co-written with either Jeff Lynne or Heartbreaker Mike Campbell, it’s easy to get tunnel vision and focus on Petty — after all, it’s his name on the album cover. That’s not to discredit either partner-in-crime, especially Campbell, whose solo on “Runnin’ Down a Dream” is about the sexiest thing that’s ever come out of Petty’s camp. No lie, zero in at precisely 3:48; it’s ecstasy on the six-string. So, what about “Zombie Zoo”? Sure, it’s a miserable song, but thematically, it does make sense on the album. It brings us full circle to the present-day Petty, a seasoned songwriter who knows the long road ahead and the trials and tribulations within. His doubts and cynicism towards the make up-wearing punk rocker are either hypocritical (meh) or tongue-in-cheek (likely), an ode to those who doubted him in his early years. By expressing these doubts in his own POV, Petty closes out the circle his story draws over 12 tracks. On paper, it’s a genius premise and might explain why he opted for the track over its musically stronger-yet-lyrically sparse B-sides, specifically “Down the Line” and “Don’t Treat Me Like a Stranger”. Here’s a fun fact: During the album’s recording sessions, Petty was working on a track titled “Indiana Girl”, which would go on to become his 1993 Greatest Hits single, “Last Dance with Mary Jane”. Had he been able to complete the song and round out the album with that powerful hit, then, well, Full Moon Fever would no doubt cast one hell of a shadow over Damn the Torpedoes. Speaking of which, a few years ago I argued that …Torpedos is the only album worth buying from Petty outside of his Greatest Hits set. Almost immediately, readers pointed out my omission of Full Moon Fever, insisting my argument was moot (among other kind things). Even though I’ve spent the last two weeks revisiting this record, I’m not entirely convinced they’re right. Full Moon Fever is an excellent album, and I’ve come to warm up to it considerably given its alleged conceptual nature, but there’s something that bothers me about the second half. Even if it makes sense lyrically to stock the hits in Side A, it does offer a lopsided listen. 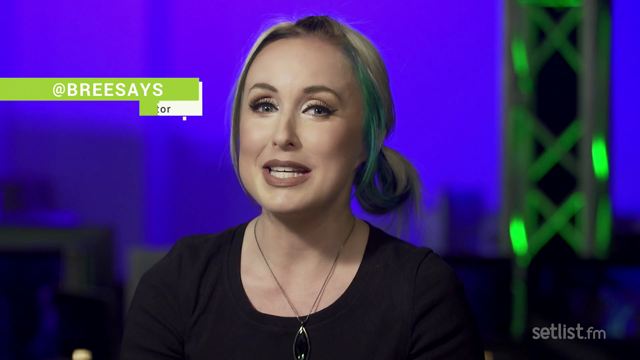 Once “Runnin’ Down a Dream” wraps up, the mood shifts drastically, and while “lethargic” isn’t a fair descriptor, it is the first one that comes to mind. Truth is, Petty’s jump from his youthful narrative to his ensuing adulthood is sort of a downer. A few minor exceptions aside, I’ll always prefer the guy’s salad days over his rustic years, even if I’m game to listen to either at any time. It’s a weird dichotomy that possibly speaks to my own problems and untapped revelations. Unlike the Florida bard, I don’t want to grow up; I want to keep running. Preferably away from any zombie zoo.